It's not easy or fast, but this recipe will make everything you need for a warming bowl of classic chintan shoyu ramen. This recipe provides you with all of the building blocks of a chintan shoyu ramen, or a soy sauce–flavored ramen with a clear broth. You don't need any special tools other than a pressure cooker, and only a few specialty ingredients. While some of the components do take at least around 12 hours to make, and the process can be stretched to 36 hours, a vast majority of that time is hands-off and/or overnight. The rest of the components—the broth, the tare (or seasoning), and the aroma oil—can be made in about two hours. You can omit the pork entirely, if you prefer. This recipe will produce more tare and aroma oil than are necessary to flavor the amount of broth it produces, but the aroma oil and tare are also integral components of our miso tori paitan recipe and can be used there, too. A portion of the tare can also be used to marinate the cooked pork belly overnight, which will improve the pork belly's flavor. The tare used to marinate the pork belly can subsequently be used as seasoning for a bowl of ramen. Any leftover tare you have can be used as an all-purpose seasoning, whether to add some umami depth and complexity to other soups or as part of a glaze or marinade for meat, such as broiled chicken thighs. A pressure cooker produces a rich, flavorful, clear broth in a fraction of the time required for a more traditionally prepared broth. Steeping vegetables and kombu in the broth after it has been cooked adds flavor without adding color, and eliminates the need to be fussy about temperature control. Loading up the tare with katsuobushi, or bonito flakes, amplifies the savoriness of the final soup. Cooking the broth for only 40 minutes means the pork belly used to flavor the broth and to produce fat for the aroma oil is still flavorful and firm enough to use as a topping. Diced and finely sliced vegetables will impart more flavor to the broth as they steep than vegetables that are simply chopped. For the Cured Pork Belly, at Least 8 and up to 24 Hours Before Cooking: Combine salt and sugar in a bowl and stir to mix thoroughly. Sprinkle pork belly all over with sugar-and-salt mixture, then shake off any excess. Place in a zip-top bag and store in the refrigerator at least 8 and up to 24 hours. For the Tare, at Least 8 and up to 24 Hours Before Cooking: Combine kombu and water for the tare in a covered container and store in the refrigerator at least 8 and up to 24 hours. For the Broth: Place chicken in a pressure cooker and cover with 6 1/4 cups (1.5L) water. (No matter what, be sure not to exceed the max-fill line of your cooker.) Rinse cured pork belly of salt and sugar, then add to pot, nestling it on top (the pork belly does not have to be submerged). 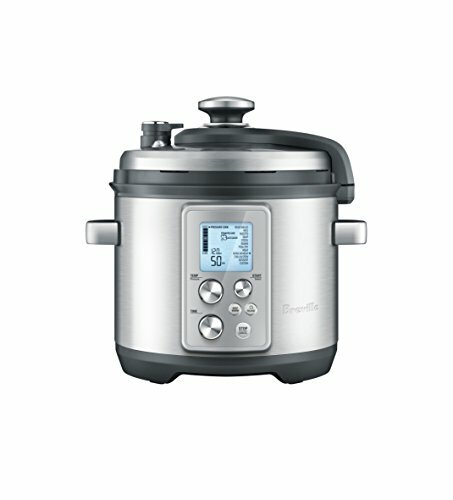 Cover pressure cooker, bring to low pressure, and cook for 40 minutes. Allow pressure cooker to depressurize naturally. In a large heatproof bowl, combine leek, onion, carrot, garlic, and ginger. Using tongs and a spatula, carefully transfer pork belly to a plate or rimmed baking sheet. Carefully pour broth through a fine-mesh strainer into the bowl of chopped vegetables. (Reserve all chicken bones and meat for a second broth, if desired; see note.) Stir broth once, then add the kombu for the broth and stir again. Let broth steep for 45 minutes. Strain broth into a large, clean mixing bowl, then decant into pint or other storage containers. (Reserve chopped vegetables and kombu for a second broth, if desired; see note.) Cover containers and place in refrigerator. For the Tare: Transfer kombu and its soaking water to a medium saucepan and bring to a bare simmer over medium-high heat. Remove from heat and add katsuobushi flakes. Let dashi steep 3 minutes. Strain dashi into a small mixing bowl through a cheesecloth- or coffee filter–lined fine-mesh strainer, pressing on the solids to extract as much liquid as possible. You should have about 1 1/2 cups (350ml) of dashi. If you have less than that, top up with water to make 1 1/2 cups (350ml). In a saucepan, combine dashi with sake and soy sauce and bring to a boil over high heat. Reduce heat to maintain a steady simmer and cook until reduced by half, or until you have about 2 1/4 cups (525ml) of liquid. Transfer to a heatproof container and set aside. When the fat is hot, add sliced garlic and minced ginger. Sauté until fragrant, but not brown. Place lemon zest in the bottom of a fine-mesh strainer set over a heatproof bowl. Pour the hot aroma oil through the strainer, pressing on the solids to extract as much fat as possible; discard solids. Set aroma oil aside. To Assemble the Ramen Bowls: Bring a large pot of unsalted water to boil over high heat. Place broth in a separate pot and bring to a simmer over high heat; try not to let the broth boil, as boiling will make it more opaque. Set out containers of tare, aroma oil, and freshly ground white pepper, along with appropriate measuring spoons and serving bowls, and make sure all garnishes and toppings are close at hand. Ladle 5 ounces (150ml) boiling water into each serving bowl to warm it. After 30 seconds, place noodles in the pot of boiling water and stir vigorously with chopsticks or tongs to prevent sticking. Discard water in serving bowls. Place 2 tablespoons (30ml) tare, 2 teaspoons (10ml) aroma oil, 1/8 teaspoon white pepper, and a pinch of sliced scallions in the bottom of each serving bowl. Add about 1 1/2 cups (350ml) hot broth to each bowl. When noodles are cooked, drain them thoroughly using a fine-mesh strainer or noodle basket, shaking off as much excess water as possible, then place a serving of noodles in each bowl of hot broth. Stir noodles with chopsticks or tongs, then lift and fold noodles over. Garnish with sliced pork belly, more scallions, ajitsuke tamago (if using), and whatever other toppings you have at hand. Serve immediately. This recipe is meant to be used in conjunction with our miso tori paitan recipe—the chicken used to make this broth, as well as the kombu and vegetables that are steeped in the broth, can and should be used to make the niban tori paitan broth in that recipe. The appearance and flavor of the cooked pork belly is vastly improved by torching or broiling prior to serving. It's preferable that the pork belly be skinless. If the skin is on, remove by chilling the pork belly thoroughly and carefully slicing off the skin with a sharp knife. The skin can be placed in the pot, if you like, but it can also be discarded or used for another purpose. Chilling the cooked pork belly thoroughly will make cutting it into serving portions far easier. If it is a particularly fatty piece of meat, or particularly soft, freeze the belly for about 15 minutes before portioning. Cutting up the chicken helps with the extraction of flavor and gelatin, particularly given the short cook time for the broth. If you choose to buy store-bought noodles, we recommend the No. 20 Kaedama from Sun Noodle. You can also ask at your favorite local ramen shop if they will sell you noodles; try to buy long, thin, wavy noodles for this recipe. The broth, tare, and aroma oil will keep in a sealed container in the refrigerator for up to 1 week. Frozen, they will keep for up to 3 months, although the tare's flavor will degrade slightly (the broth and aroma oil will hold up better). The pork belly, if wrapped well in plastic wrap, will keep for 1 week in the refrigerator; tightly wrapped and placed in a freezer bag, it will keep for up to 3 months in the freezer with little to no decline in quality.